The Peagle! 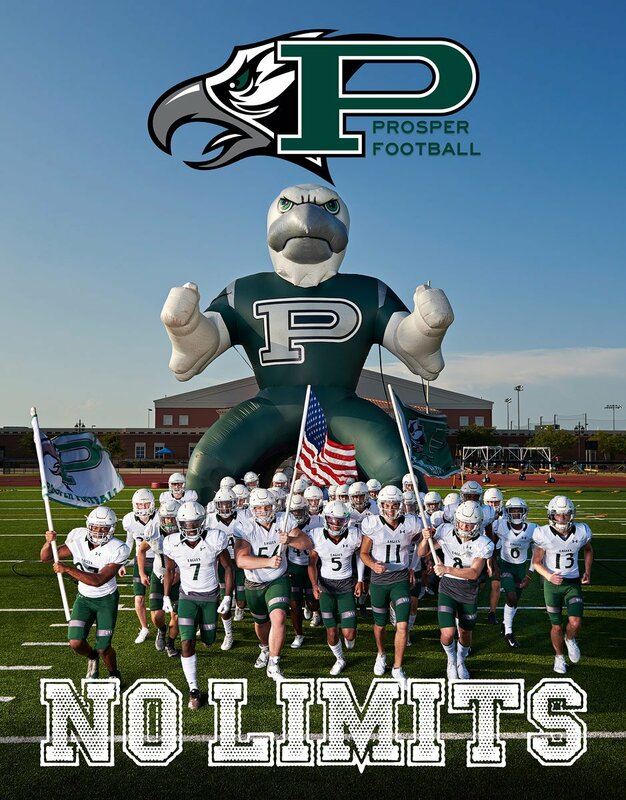 So this is the official cover of this year’s Prosper Eagles Football program for the 2018 season. Not to be confused with our post the other day from a rough draft, where we discussed the phenomenon of the blue dress like beak color. That was tons of fun and you can check it out here. The Prosper Eagles Football Season is about to start! Having had the pleasure to work with a few of the senior players, they gave me the opportunity to also photograph this years team photo for the cover of the football program. It was definitely a photographic challenge. We photographed this at the practice field at Prosper High school. We wanted to show off the American team spirit as well as showcase the level of energy as everyone is getting ready to start the season off with a bang. The Prosper Eagles will start their season this year on Saturday, September 1st at 11 am, hosted at the brand new McKinney Stadium as they take on Naaman Forest from Garland TX. I will definitely be in attendance to check out the new stadium as well as to cheer on some of the players we were so lucky to photograph so far this year. Some of those players are cornerback Lee Rowden and Devin Haskins (also plays wide receiver) as well as Derien Ivy who plays outside linebacker. We were at Meet the Eagles! We were there and was so was the crazy thunderstorm! The event got moved inside the practice gym due to heavy downpours and lightning, but everyone still seemed to have a great time. They packed it in! below are just a few quick photos that I took on my phone to share with you. We had a banner there and was supposed to have a table, but when it got moved inside we had to make it work with a more limited setup. We will have a bigger setup coming to an upcoming home game.